This medical malpractice claim was filed in Prince George's County after an undiagnosed bone infection resulted in permanent disability. It was filed in Health Claims Arbitration on March 28, 2018, and it is the 146th medical malpractice case filed in Maryland this year. An eleven-year-old boy began experiencing right leg pain. When he first presented to his pediatrician at Kaiser Permanente, he had a limp and swelling in his right leg. Podiatry did not believe he would benefit from a shoe insert, so he was referred to orthopedics where he was diagnosed with a muscle strain. His leg pain persisted, and six months later the boy went back to his orthopedic doctor. The range of motion in his knee had decreased, so the doctor ordered an MRI. Unfortunately, the doctor misinterpreted the MRI images, believing he saw a benign "tug lesion" caused by repetitive stress on the femur. In reality, the MRI was suspicious for osteomyelitis, a bone infection which required timely medical intervention. If the orthopedic doctor had made the correct diagnosis, the boy would have been appropriately treated with antibiotic therapy and would have likely made a full recovery. Instead, the doctor negligently referred the boy to a rheumatologist, who diagnosed him with arthritis. Not only did the boy lack the age and gender profile for such a diagnosis, his laboratory, imaging, and other clinical evidence showed no sign of arthritis. The only treatment he received was a prescription for an anti-inflammatory drug. When the boy returned to the hospital several months later with the same unresolved leg pain, the doctor merely increased the dosage of his anti-inflammatory medication. When the leg pain still persisted after two more appointments, the doctor failed to perform any follow-up studies and continued to prescribe the ineffective anti-inflammatory medication. After suffering two years of negligent medical care, the boy underwent a bone biopsy which finally confirmed the presence of a chronic bone infection. He was evaluated by an infectious disease doctor and placed on IV antibiotics. Because his infection went untreated for so long, the boy will require multiple surgeries and lifelong antibiotic therapy. Osteomyelitis is a bone infection, causing symptoms such as pain, swelling, warmth, and redness in the infected area. Germs can reach the bone through the bloodstream, nearby infected tissue, or an open wound. Because the claimant had a known medical history of sickle cell anemia, his doctors should have been aware of his increased susceptibility to infections. Circulation disorders, such as sickle cell disease, increase the risk of bone infection because the body can't distribute infection-fighting cells as efficiently. For a child with sickle cell anemia, a small cut could progress to a deep ulcer, potentially exposing the bone to infection. Failing to thoroughly evaluate and properly diagnose the claimant's condition. Failing to employ appropriate treatments. Failing to evaluate the effects of chosen treatment and adjust the claimant's treatment accordingly. Failing to properly monitor the course of the claimant's condition. As a direct result of the defendants' negligence, the claimant suffers from ongoing osteomyelitis. 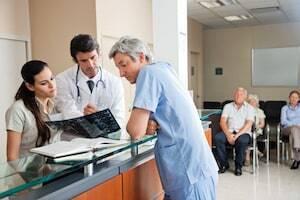 The claimant will have chronic pain and difficulty walking for the rest of his life, requiring assistive devices, antibiotic therapy, alternative education options, and potentially, amputation. View sample medical malpractice verdicts and settlements from Prince George's County. Read more about pediatric malpractice and misdiagnosis lawsuits in Maryland.